Why do entire generations of people sit home in front of TVs (and now computers) instead of hanging out at the park with friends? Why are writers, the old-fashioned ones, and newspapers about to extinct? Because moving picture is the base of our entertainment now. Movies, tv-shows, youtube clips, cartoons - no written word or human interaction can compete with them in terms of amusing us (I’m certainly lying). Therefore, when you’re on the product page choosing between a lengthy, dry description and a short 5-minute clip that lists and demonstrates item’s features - which option you go for? I know it ain’t reading. So, as a store owner, it’s obvious you must have video clips on your website. Today we’re going to explain just how important it is to create video content for e-Commerce, and share the tips with you on how to start. 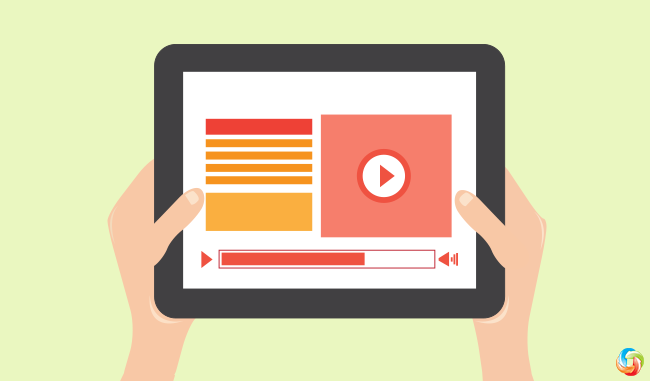 According to ReelSEO, 73% of customers are more likely buy an item after watching a video that describes it. 1. Make videos fun. People avoid reading because it’s dull, so make sure your videos aren’t. Be creative, funny, silly, interesting, a bit inappropriate or plain stupid in your clips - anything but boring. A great example of the promotional video usage is the famous Dollar Shave Club clip. Besides being entertaining, the video makes perfect sense - why would you pay a ridiculous price for a brand’s name, if you can get quality razors for a few bucks? That message resonates with everyone who’s got a beard, so no wonder the clip got so popular. 2. Find the right place. There’s no point in putting videos where people don’t see it. So, avoid the dark corners of your website, begin with uploading promotional videos to your homepage and the most visited product pages. There is always traffic there, so you’ll be able to observe the shifts in traffic/conversion rate, and measure video’s effectiveness. The Dollar Shave Club nailed the placement as well, their viral clip is in your face, right as you show up to the website. 3. Research and copy. Easiest strategy for creating something good is stealing it. We’re not endorsing complete plagiarism of the content, but imitating something successful is the first step to creating great stuff of your own. So, find a few videos you like and examine them thoroughly - their structure, length, overall style, subtle or obvious CTAs etc. Then, when you figured out what’s so catchy about them - emulate those qualities. 4. Social Proof. No matter how sincere your videos seem, you’re still a merchant to your customers - a prick who’s after their money. People don’t trust sellers, that’s a given, but they do listen to fellow shoppers. So, reach out to the happy customers of yours, ask them to record positive video reviews and post them on your webpages. When you’ve gathered a bunch of such clips - compile them into one video, to show just how popular and useful your brand is. 5. SEO. Finally, videos might help your SEO if you add description and tags to each of them. It also helps if there’s a lively discussion below a clip - the more crowded the comments box is, the more appealing your video is to Google. There no way really to influence these things except creating videos that are really cool. So, try your best! Videos in your online store, if shot correctly, increase conversion and the overall exposure of your website - that’s established by numerous studies and shop owners experience. The five tips above will help you create a successful video marketing strategy for e-Commerce, if you’re not using clips yet, and enhance your existing videos if they’re not very effective. Good luck!